More than 35 members of the College community, who contributed $100 or more over the past two years to the College, were honored during a breakfast that celebrated the inaugural Faculty/Staff Giving Circle, which is chaired by CSI Professor and CSI Foundation Ex-Officio Member Roberta Vogel, PhD. 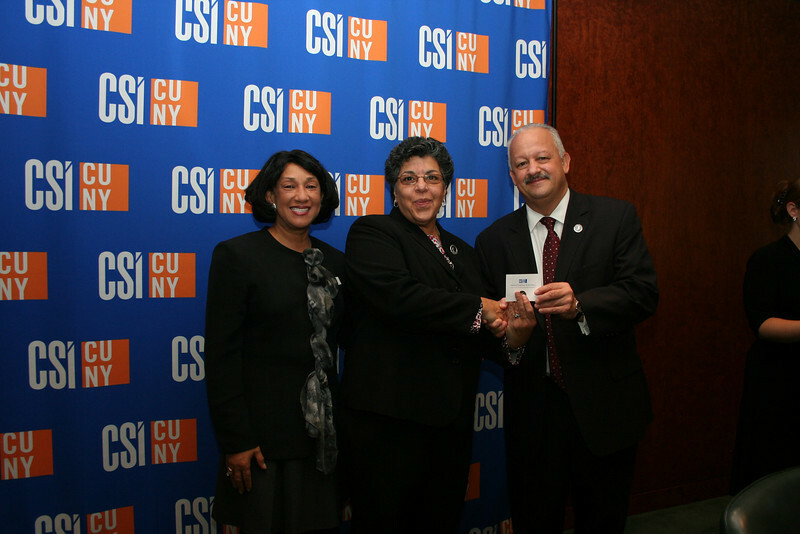 At the event, CSI President Dr. Tomás D. Morales presented faculty/staff donors with Giving Society pins. Photos by Lisa Pipitone.